Five North Melbourne Tasmanian Kangaroos’ stars have shared 29 of the 30 votes award by the coaches following Sunday’s win over Carlton. 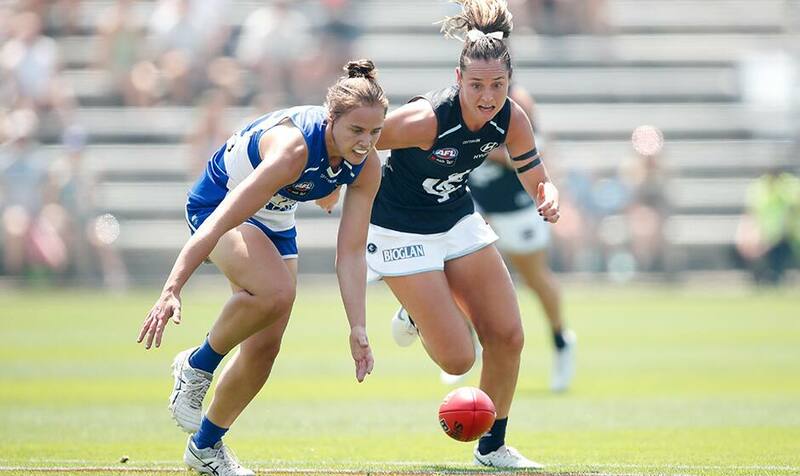 Forward Jasmine Garner claimed top honours with nine votes, while debutant Ash Riddell was recognised with seven votes for her 16 disposal and one goal performance. Emma King, Jess Duffin and Kate Gillespie-Jones were awarded six, four and three votes respectively, fitting rewards for their positive contributions.